May | 2014 | YesBiscuit! Two dogs who were picked up by the lone ACO for the city of Kenedy, TX died overnight six days later. Animal advocates have alleged abuse at the city facility, which has a 5% adoption rate, but the ACO says the city has “adequate” amounts of food and water for the dogs, therefore the allegations are moot. The pound in Surry Co, NC has put someone new in charge and is now opening its doors to rescues. A group recently drove from VA, where shelter pets are also killed, to take a couple dozen dogs from Surry Co. The city of Amarillo, TX has been plagued with allegations of cruelty by pound workers, including disturbing video evidence which has surfaced online. This week, the city council proposed two amended ordinances to give pound employees increased ability to charge citizens with cruelty. Anyone minding the store? Added: The former GA shelter director who was convicted of 60 felony counts has been sentenced today by a judge to 25 years in prison (must serve 15 years) and a $30,000 fine. The fraud and theft felonies are related to the “Lucky Dog” scam in which she pocketed donations to keep pets alive and then killed the animals. Animal advocates have been hearing for years from people who kill animals at shelters that the public is irresponsible, that pet owners are animal dumpers and that death is better for many pets than being adopted out to a home. We know all those things to be false, obviously. But among too many shelter workers, there persists a judgmental attitude toward anyone surrendering a pet. The notion that the surrendering party is trying to do right by the animal by taking him to a place with the words ANIMAL SHELTER on the sign is lost on those who insist on branding these people as trash. The truth is, no one at an animal shelter knows for sure why a pet is being surrendered. The surrendering party may relate circumstances regarding the pet that are fabricated, for example. This might be attributable to the person’s unwillingness to explain his personal circumstances (terminal illness, eviction, domestic abuse, etc.) to a stranger. The surrendering party may be unable to relate the true circumstances regarding the pet due to mental illness (e.g. someone who suffers from delusions). Sometimes people surrendering pets make up stories that they believe will prevent the staff from immediately killing the animal (e.g. claiming an owned pet to be a stray and therefore subject to a mandatory holding period). The bottom line is that pets can not speak and the person speaking for them may or may not be relating the full and complete history associated with the animal. Shelter staff absolutely must take this into account when accepting animals. Beyond this, and regardless of any shelter worker’s personal feelings, staff members must do their jobs. That is, when you hang out a shingle that says ANIMAL SHELTER and someone brings you an animal in need of shelter, do it. It would be ideal if every surrendering party complied with all your requests such as scheduling an appointment, completing a surrender form and providing the pet’s vet records. But in real life, that’s not always going to happen. Be prepared for it. Expect it. Handle it. Above all, take the animal that is in front of your face. That animal may be lost, stolen, abused, sick or simply homeless – you don’t know for certain. The only thing that is 100% verifiable is that someone has brought you the pet and told you there is no one to provide care for him. Do your job. Take that animal and shelter him while things get sorted. Tragically, too many shelters stand on ceremony when it comes to accepting pets being surrendered. 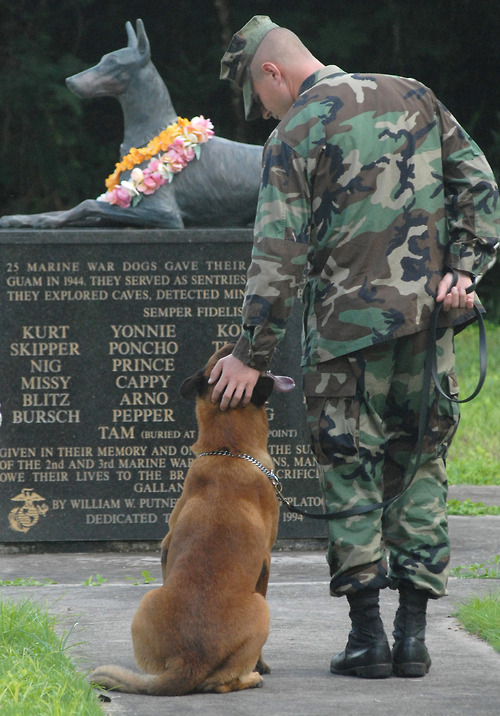 If the surrendering party does not comply with one or more of the required protocols, the shelter attempts to refuse service – a service the staff is being paid by the public to provide. This leaves the animal completely unprotected, which is the opposite of what the shelter is there to do. 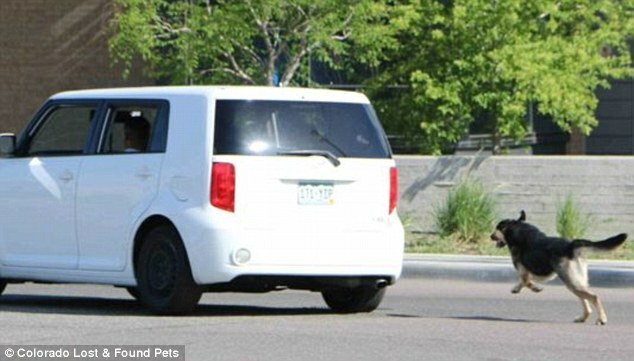 Dog chasing vehicle after failed surrender at Denver Animal Shelter, as shown on TheDenverChannel.com. Last week, a man tried to surrender a dog at the Denver Animal Shelter in CO. He declined to complete the surrender form and presumably some sort of confrontation occurred, resulting in the man running from the lobby to his vehicle. He tried to leave the dog in the lobby but the dog got outside and chased after the man’s car. Witnesses say the man ran over the dog before picking him up. When the man returned later that day and again attempted to surrender the dog, the shelter staff apparently insisted on the completion of the surrender form which caused a problem and resulted in the man running to his vehicle and the dog chasing after him. Again. The Denver Animal Shelter staff appears to have been unprepared to help the dog the first time the man attempted to surrender him. That’s failure number one. But for the staff to intentionally initiate a repeat of the failure when the man brought the dog back is positively outrageous. At that point, the staff knew the dog was in need and knew the man did not want to fill out the form. Failing to protect the dog a second time after witnessing the disastrous results of their first failure is unacceptable. It is currently unknown whether the dog is alive. The man told a local news reporter that he drove to Los Angeles and abandoned the dog on the street. That’s one of his stories anyway. Who knows what really happened to the dog? The only thing we know for sure is that the staff at the Denver Animal Shelter did not help the pet when he was in need – which was their job – twice. But staff did do one thing – they issued a citation to the man for cruelty and neglect. He is due in court on July 2. Yay animal “shelter”. Doozie Bean, as pictured on The Evening Tribune’s website. Annie Allison and her family have owned their beloved cat Doozie Bean for 9 years. 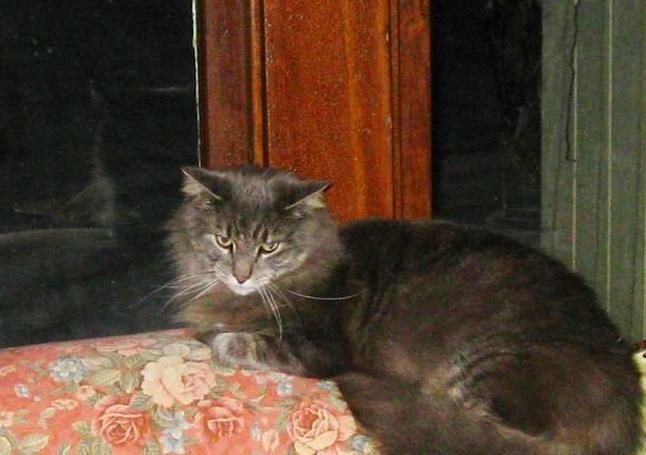 He’s been missing since May 7, when he was reportedly trapped in a neighbor’s yard by the ACO for Hornell, NY. Prior to setting the traps in the neighbor’s yard, Hornell Mayor Shawn Hogan states the ACO was supposed to knock on doors of area homes to alert residents. In addition, any cats trapped are supposed to be held for 5 days in order to give owners a chance to reclaim them. The ACO in this case, Gary Hadsell, appears to have not followed procedures. After Ms. Allison brought her concerns to Mayor Hogan, the mayor denied any knowledge of traps being set. 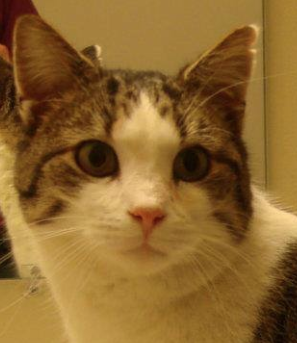 He says he talked with ACO Hadsell who reportedly admitted losing one of the cats he trapped. 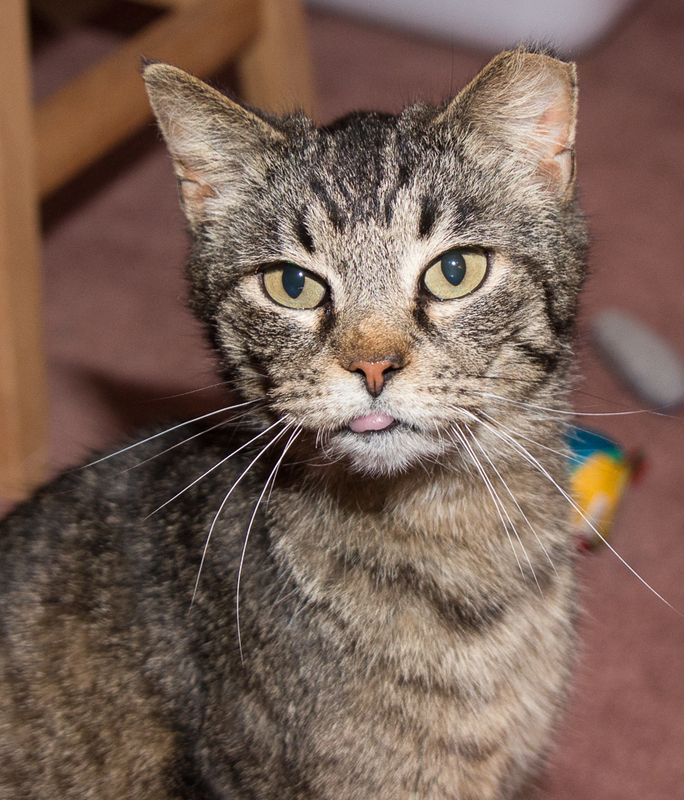 The ACO also apparently denied ever trapping Doozie Bean, claiming he has the ability to immediately distinguish feral cats from owned pets based on their behavior in the trap. The article doesn’t say if he also pulls rabbits out of hats or whether he’s available for kiddie birthday parties. Mayor Hogan also says that because of what happened with Doozie Bean, his city is getting out of the trapping business. In the meantime, Ms. Allison and her family are heartbroken. She continues to search for Doozie Bean, driving around for hours, whistling for him and shaking cat treats out the window. Blue, as depicted in a screengrab from the WREG website. 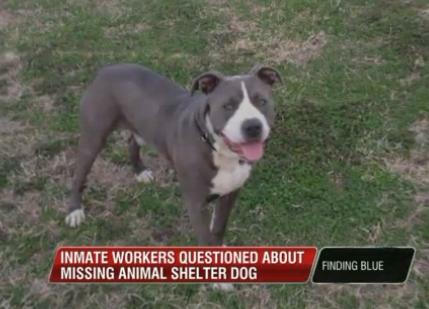 In West Memphis, AR a dog named Blue got spooked during a thunderstorm Saturday night and got lost. A police officer took him to the West Memphis pound. When Blue’s owner inquired at the pound Sunday, he was relieved to hear his pet was there. But Blue’s cage was found empty. Pound director Kerry Sneed says she personally locked the gate on Blue’s cage Saturday night and that it did not appear that he had escaped on his own. For several hours Sunday morning, Sneed said there was a window of opportunity for people on the property to steal the dog. Well gee. Is that the sort of failure that taxpayers in West Memphis are supposed to accept? What is being done to actually shelter animals from harm once they arrive at the so-called shelter? Anything? 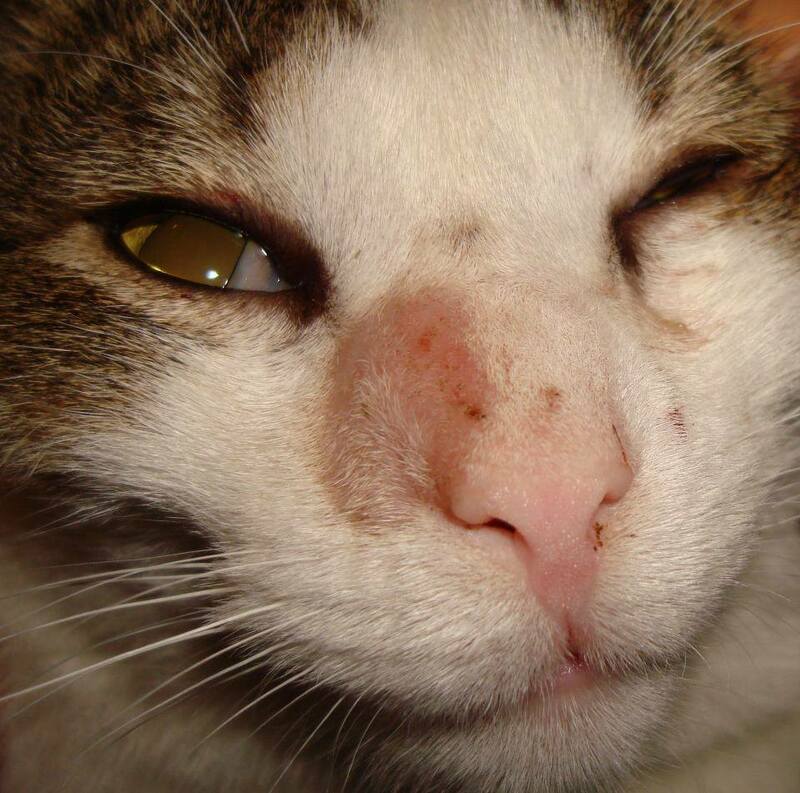 Posted in ACO misconduct, feral cats, lost pets, southern shelters, stolen pet, tha hell? Lowanda “Peanut” Kilby, the former director of the now defunct Boggs Mountain Humane Shelter in Rabun Co, GA has been found guilty on 60 felony counts by a jury. Prosecutors say Kilby used the no kill brand to bilk donors into giving money to her “Lucky Dog” program which she then funneled into her personal Paypal account – to the tune of $10 grand. 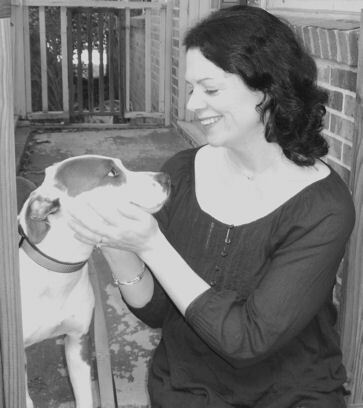 Regular readers will recall that Kilby ran a pay-to-play scam where she would guarantee dogs at the fake no kill shelter would be allowed to live if they received a sponsorship of $100. 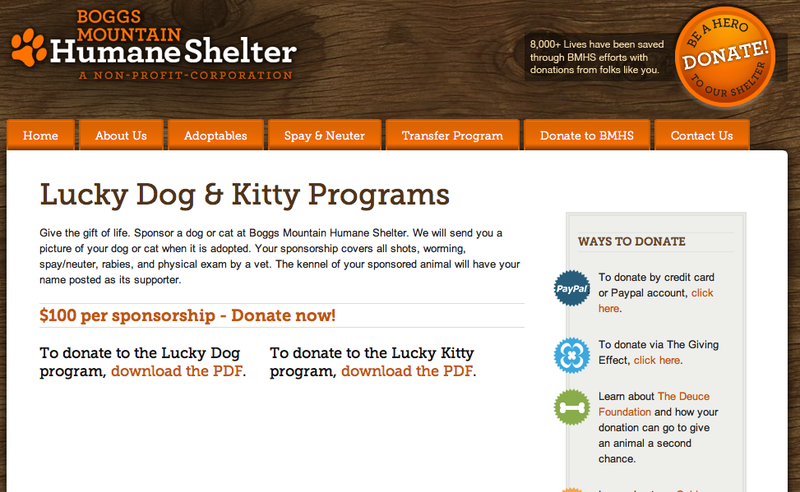 Kilby would pocket the cash, kill the “Lucky Dog”, then send the sponsor a yay-your-sponsored-dog-got-adopted letter. Kilby was fired in July 2012 after a tenacious Atlanta news reporter received a tip and exposed the scam on the evening news. After being charged in September 2013 with 60 felony counts including theft and racketeering, Kilby spent 2 hours in jail then went on a cruise. Her trial this month lasted less than 2 weeks and it took the jury less than 4 hours to return the guilty verdict on all 60 counts. Kilby has yet to be sentenced but presumably won’t be going on another cruise anytime soon. Since the killing of healthy shelter pets is tragically legal, Kilby was not charged with animal cruelty. Instead she has been relegated to the Michael Vick Hall of Shame for those who needlessly and cruelly kill pets and never pay for their crimes. Like Vick, Kilby will at least pay for her racketeering crimes. There ought to be a law. Note: Since the verdict is a recent development in the story, updates are likely to be posted throughout the day at various news outlets. Please share links to any updates you come across in the comments. In general, the voluntary spaying and neutering of pets is a positive. It reduces/eliminates the behaviors associated with reproduction, which most owners find undesirable qualities in a pet. This makes pet ownership easier to manage for many people. It eliminates the birth of unintended puppies and kittens which again, is a plus for most owners. These benefits show up in the community in the form of more owners being able to keep their pets and fewer homeless pets being in need of a shelter. It does nothing to save the dogs and cats in shelters today. It’s of no use to pet owners who can not afford to pay for the services and/or get their pets to the clinic, or those who don’t know low cost services are available. Contrary to what far too many shelter directors and killing apologists say publicly, spaying and neutering is not THE answer. That is, voluntary spay-neuter is an important part of the solution but there are many other significant pieces to the puzzle. Spay-neuter doesn’t stop shelter directors from killing any and all animals of their choosing. Legislation is required to end that barbaric practice. And voluntary spay-neuter is just one component of the No Kill Equation – the only set of programs proven to end the killing of healthy/treatable animals in shelters. Spay-neuter alone has never ended the killing of healthy/treatable shelter pets anywhere. In addition, those who blame the public for the killing and point to spay-neuter as the one and only solution often combine the blame with a threat: Until everyone spays and neuters, we’ll keep killing animals. The truth is that the day “everyone spays and neuters” is not going to be today, tomorrow, or next month. That means that the pets in shelters today, tomorrow and next month are at risk of being needlessly killed which is unacceptable no matter how you frame it. In fact, the day “everyone spays and neuters” will be never. Some people choose not to spay and neuter for various reasons with which animal advocates may or may not agree. But that is irrelevant since pet overpopulation is a myth and there are more than enough homes for every shelter pet in the U.S. There are hundreds of communities all over the country that have ended the killing of healthy/treatable shelter pets and not one of them waited until everyone spayed and neutered their pets. Puppies and kittens are still being born in those no kill communities, shelter directors are still doing their jobs, and the world is still turning. In addition to failing to help the animals in shelters today, spay-neuter has serious accessibility issues. Too many low cost spay-neuter clinics are mired in difficulties – both from within and without. In Alabama for example, private vets are working to drive the few low cost spay-neuter clinics out of business – and they’re succeeding. Other clinics in the U.S. have lengthy waiting lists or don’t-call-us-we’ll-call-you lists that discourage people from applying. If more low cost clinics would start subsidizing fees (up to 100% if necessary) for low income owners who need assistance, offering transport for pets who would otherwise be unable to get to the clinic, and working with caretakers of community cats, their reach could be expanded. And perhaps the most obvious and overlooked challenge: making people aware that the clinics exist. 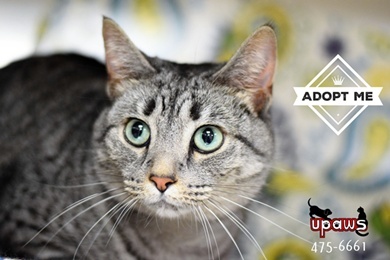 [W]e want intakes low enough that even a lazy, bureaucratic, uncaring, inept director (in short, your average kill shelter director) can run a No Kill shelter with ease. In other words, we want to eliminate those communities with high intake rates (like Washoe County) needing thoroughly committed and hardworking leadership to succeed. In other words, shelter pets can’t wait for all the Meisterburgers to die out and get replaced by heroic figures willing to commit themselves, body and soul, to stopping the killing of shelter pets. We have a proven road map and we need to force, through legislation if necessary, the existing shelter leadership to follow it. Reducing intake through low/no cost voluntary spay-neuter is one way to help make that happen. Spay-neuter has not ever and will not ever eliminate shelter pet killing but even in the worst case scenario with a shelter director committed to killing, it can help deliver fewer victims to the facility’s front door. The benefits of spay-neuter should not be underestimated nor should they be overestimated as a panacea for the myriad problems in our broken shelter system. No kill starts with a commitment to protecting the lives of shelter animals and a willingness to do the hard work required to save them all. Everything else is a tool in the toolbox. 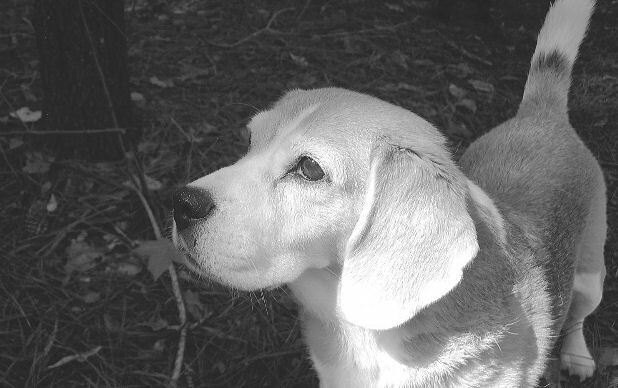 Ace, as pictured on the WBTV website. The Gaston County pound in NC spent more than $1.3 million last year and killed well over 1/3 of its pets. The pound falls under the county police department. 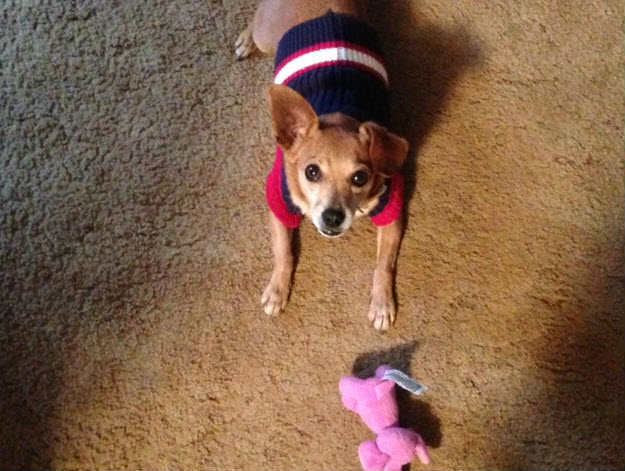 When Ace, a senior Chihuahua mix owned by Brian Humphries, dug out of his yard on May 3, his family immediately began looking for him. Ace had walked with a limp since birth but got around very well (obviously!) and was not in any pain. The family searched the neighborhood all weekend and tried the Gaston Co pound, only to find it closed. Mr. Humphries kept checking the pound’s website to see if Ace’s photo had been posted but never saw his beloved pet. When the pound opened Monday morning, Mr. Humphries was there to look for Ace. But pound staff denied that Ace had been picked up by the county. Since Mr. Humphries was unable to find Ace anywhere, he kept calling the Gaston Co pound, pressing them for information. Finally the pound staff admitted Ace had been picked up on May 4 and killed immediately upon impound. The reason? Ace “wasn’t able to put much weight on the leg” he had limped on his entire life. The reason that most shelters make exceptions for the mandatory holding period is to avoid forcing a pet who is medically hopeless and suffering to linger in a cage for several days. An example would be a pet who’d been so severely injured by a car that a vet determines there is no reasonable hope of saving the animal’s life. But this was a senior dog who “wasn’t able to put much weight” on one of his legs – hardly a case where immediate euthanasia to prevent further suffering in a medically hopeless animal is required. Gosh, the Gaston Co police seem nice. Officials say the problem stems from people not spaying or neutering their pets. If you can’t own it, maybe you shouldn’t be doing it.